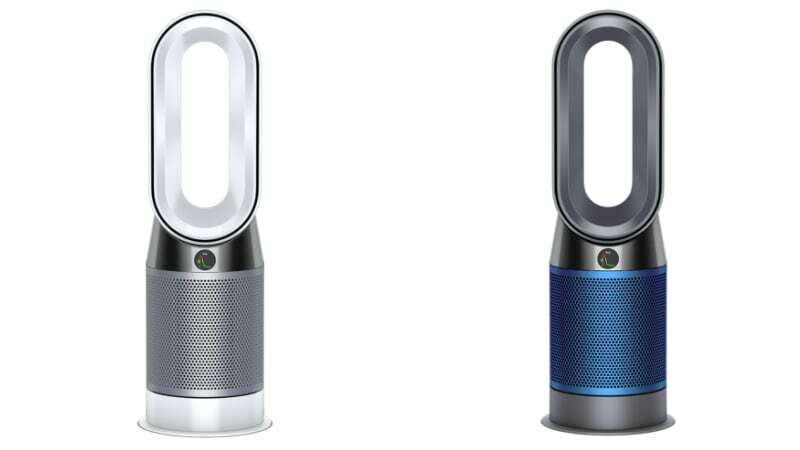 Dyson on Thursday expanded its range of air purifiers in India by launching the Pure Hot+Cool. The Dyson Pure Hot+Cool air purifier, as its name suggests, is designed to not just purify the air but also heat it using a dedicated heating technology. The UK company has used a heating element and a thermostat to condition your room temperature in winter. Also, the Dyson Pure Hot+Cool air purifier comes with a set of HEPA and carbon filters that are touted to capture as much as 99.95 percent of particle pollution, sized as small as 0.1 microns. There is an LCD monitor that offers real-time information from the built-in sensors about the air quality as well as the current temperature. Users can also control the new Dyson air purifier using the native Dyson Link app. Among other features, the Dyson Pure Hot+Cool air purifier has the heating function that is useful especially in winters. Dyson engineers optimised the air amplifier geometry to balance room mixing and tested as many 80 different heating configurations of the heating element to find the latest combination. Moreover, the company believes that its new offering is suitable for all seasons in India. Dyson Global Category Director of Environmental Control Sam Bernard highlighted during a media session in New Delhi that the heating function of the Pure Hot+Cool air purifier is similar to the heaters featured in airplanes. There is also the thermostat heat control to automatically adjust the target temperature. Also, the new model has 350-degree of oscillation and uses Air Multiplier technology to project more than 290 litres of purified air per second. Unlike the previous air purifiers by Dyson, the Pure Hot+Cool model has a diffused airflow mode that is designed to push air through the rear side at a 45-degree angle. The air purifier also a fan mode to main airflow projection. Dyson has added lasers to measure and identify fine particles. Further, the new model has a sensor to detect the amount of VOCs (Volatile Organic Compounds), such as benzene and formaldehyde, and NO2 (Nitrogen Dioxide). There is also another sensor to measure relative humidity and temperature. The Dyson Pure Hot+Cool air purifier has a HEPA filter that is claimed to incorporate more 60 percent more high-efficiency particulate air (HEPA) media than the previous filter. The filter has nine metres of a condensed and sealed borosilicate microfibre. It is rated to capture allergens, bacteria, pollen, and mould spores. Also, there are carbon filters that have Tris (trishydroxymethylaminomethane) coating to remove gases including NO2, formaldehyde, and benzene, apart from odours, domestic fumes, and VOCs. Dyson has provided a magnetised remote control that is available in a compact size to control the Pure Hot+Cool air purifier. However, users can also use the updated Dyson Link app on their Android or iOS devices to remotely control the machine and track indoor and outdoor pollution, temperature and humidity levels. The Dyson Pure Hot+Cool air purifier with White/ Silver and Iron/ Blue colour options is available at a price tag of Rs. 52,900. It is on sale through various offline and online channels in the country. Furthermore, the new model sits alongside the existing Dyson air purifiers that were launched last year.